Large yellow plastic head, fiberglass handle. 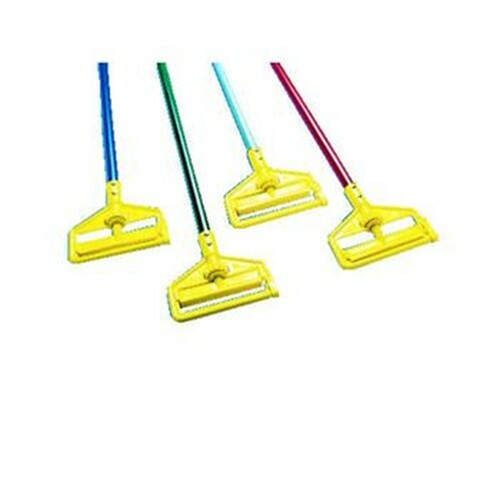 Invader Wet Mop Handles make removing and replacing mop heads easy and efficient. Invader Side Gate Handle thumb wheel clamps the mop firmly in place, should be used with 1 inch or 2.5 cm headband mops only.